This classic outdoor wicker relaxing chair in java brown is an excellent choice for your outdoor space. 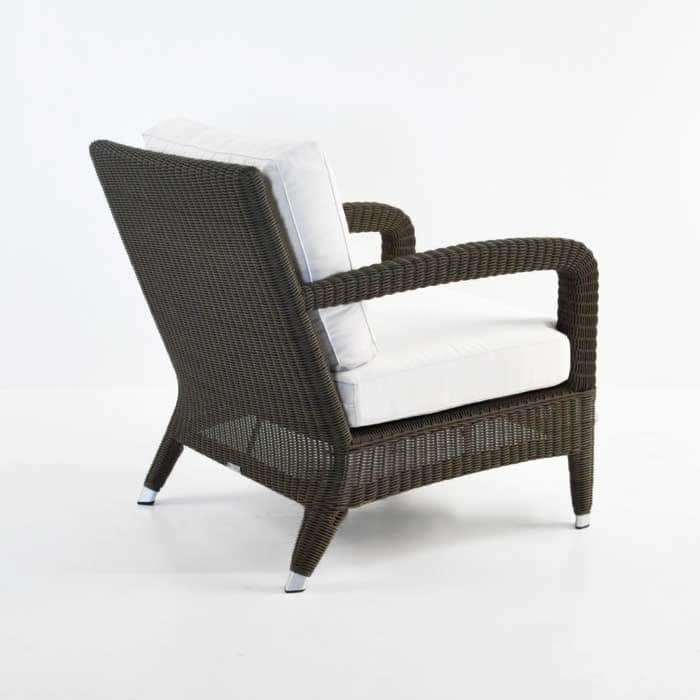 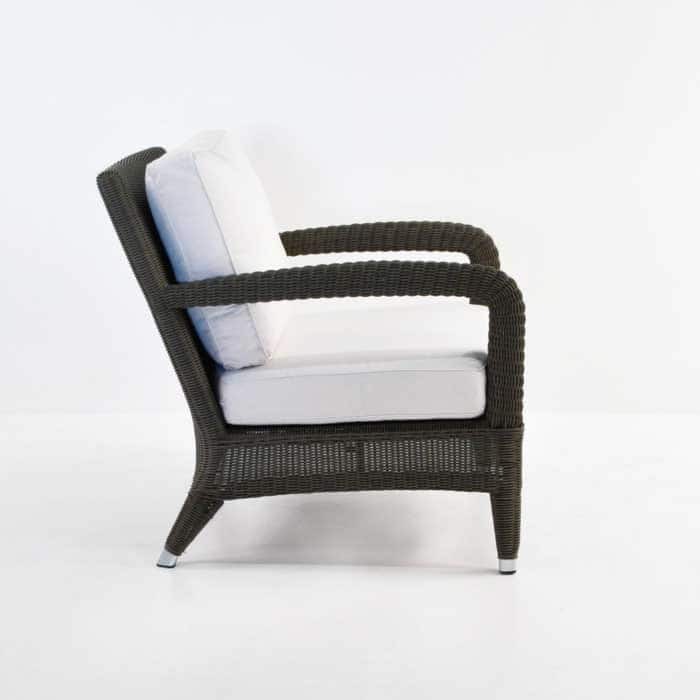 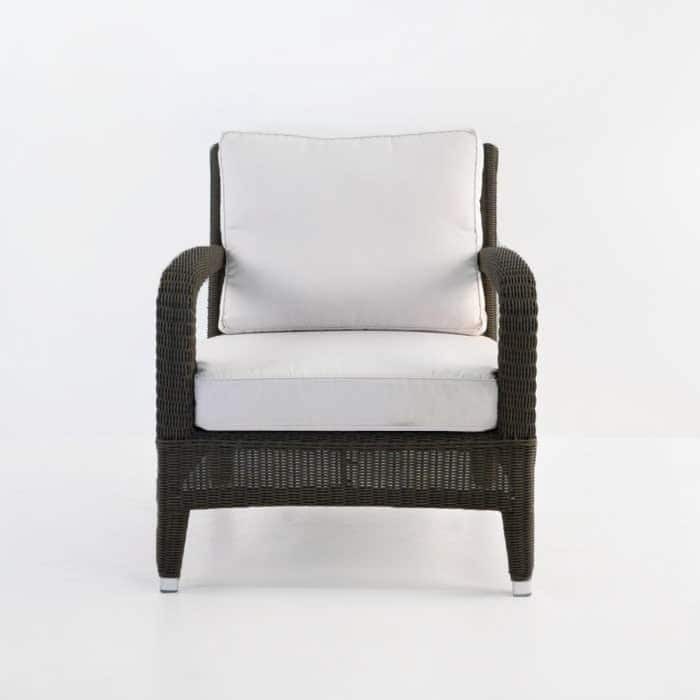 The Aaron outdoor relaxing wicker chair has classic good looks and is made with high quality materials. 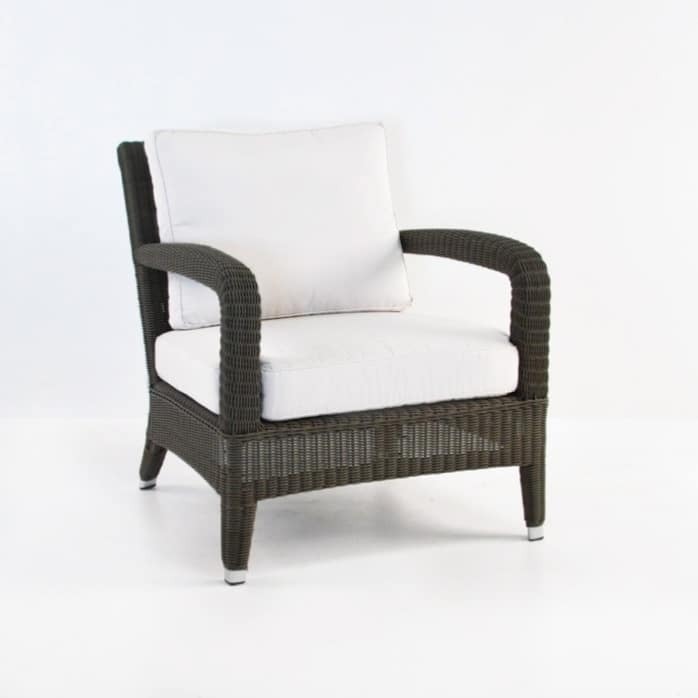 The java brown outdoor wicker is beautifully woven onto a powder coated aluminum frame and outfitted with two white Sunbrella® cushions. 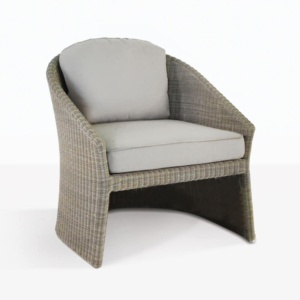 Design Warehouse offers many different choice for outdoor relaxing chairs, call us today to order your perfect chair. We are open 7 days a week and look forward to helping you.